A deceptively simple pattern, this poncho is reversible as it uses a knitted broken rib pattern. Worked from the bottom up on circular needles it has no seam. If you haven’t used this technique at all, this would be a great beginners pattern. 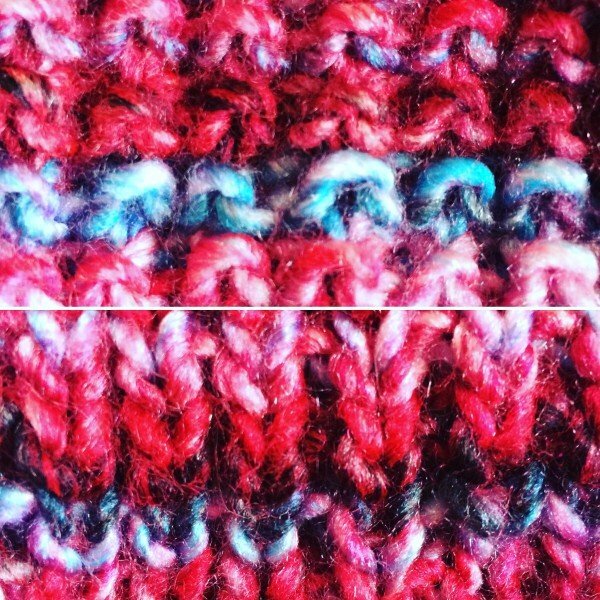 I must say that the final texture of this yarn is gorgeous. 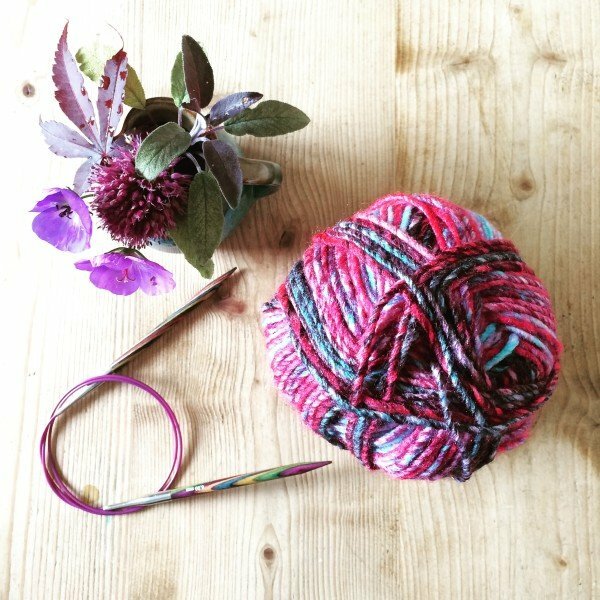 This yarn reminds me of other colourful yarns which have an artisan look but at a fraction of the price. I used just 5 balls. 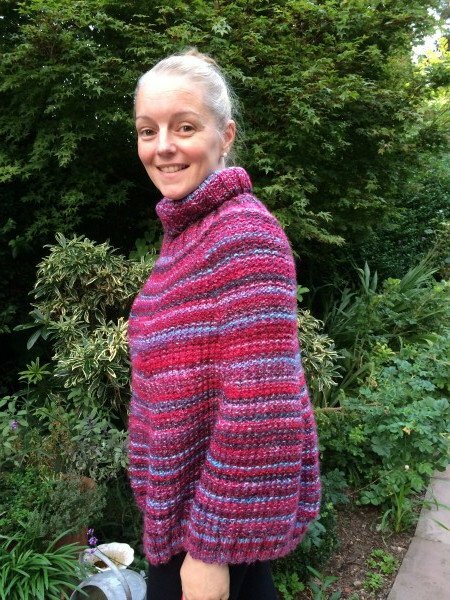 My poncho was knitted to the medium size instructions, but I think I could have gone for the small size in the end . Do to my crochet schedule, I do very little knitting at the moment, so this project felt very indulgent. I worked my poncho in New Orleans, because it very much suits my palette. But there are new shades available in the Carnival Chunky range. I know that I am not a very good model for this look, but I will probably live in this poncho in the colder weather. In the deepest of the chills I could wear it over my warm woolen coat for extra cosiness. The poncho will probably be a stalwart of the weekend wardrobe, worn over a denim jacket with dark trousers or dungarees. 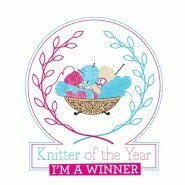 When my knitwear has texture and colour, I try to ensure that the rest of my outfit is slightly more toned down. The key of course is to enjoy wearing something you have made yourself. What will your must make item be for your Autumn/Fall wardrobe? It’s lovely! 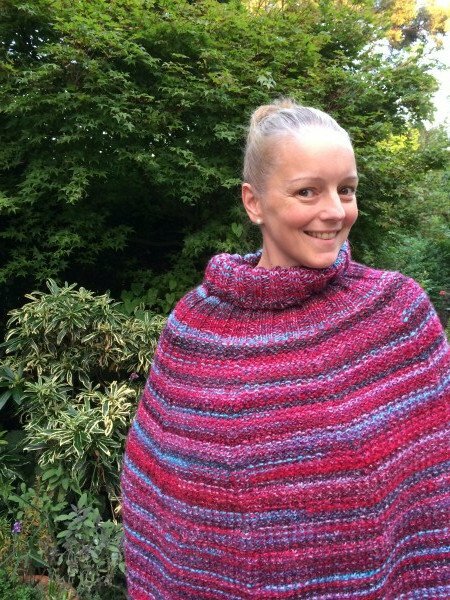 I may have to move from shawls to ponchos this year – it’s already getting a bit cold! Oh wow, it’s totally gorgeous as are you. You’re the perfect model for it!